New use for biochar - Biochar as a security device. New use for biochar – Biochar as a security device. Well folks I have done it again. I have found another new use for biochar. 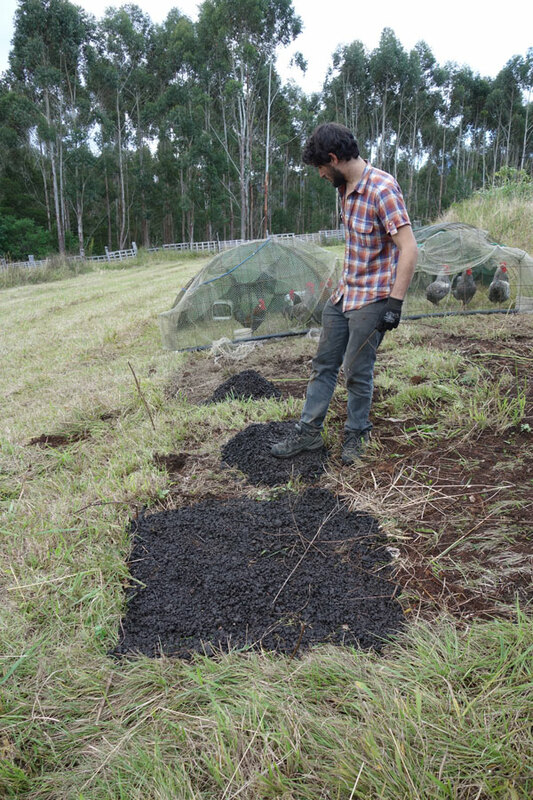 Biochar as a security device. 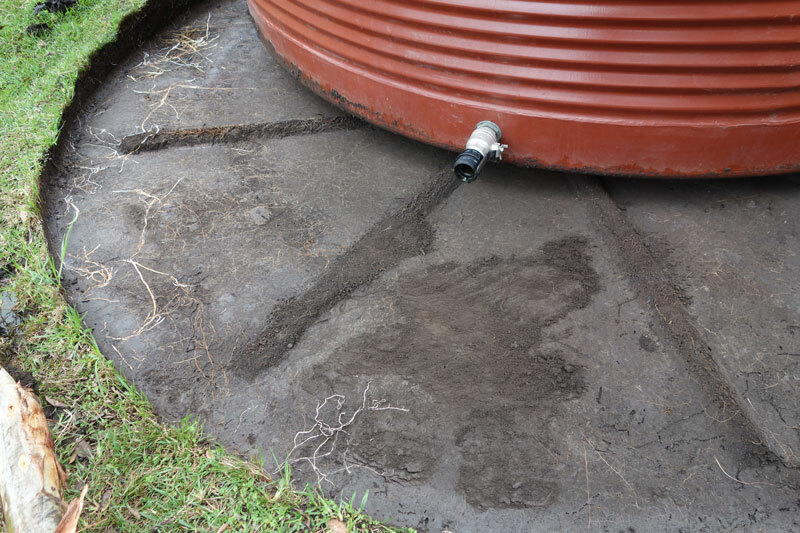 A couple of months ago I came home to the hill of abundance to find that someone had drained my large 22500 litre water tank that feeds the biochar trial garden. This was really kind of weird and eerie as we are situated right in the middle of a forest. So I spend all night pumping the water back up the hill and filled the tank. 21 hours to pump 22500 litres 350 meters @ a 60 meter head. 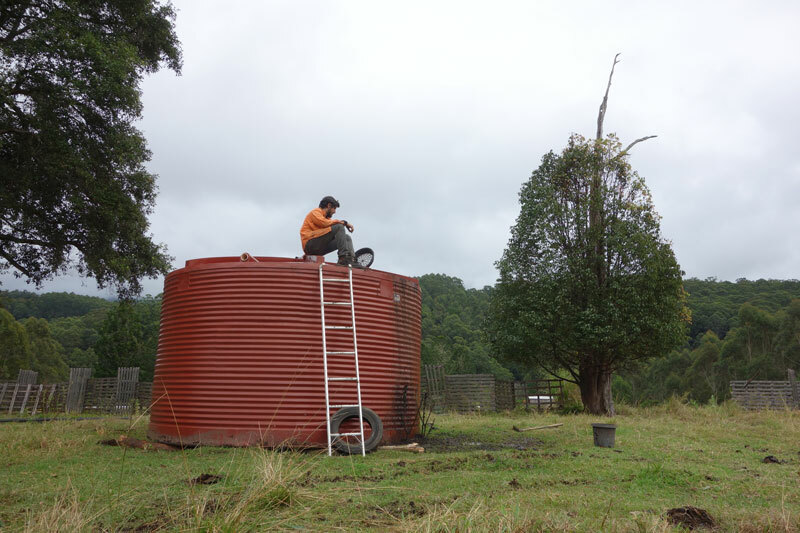 The next day when I arrived onsite from the markets the tank was again drained. We realised someone wanted our tank badly enough to try and steal it. So I set up hidden cameras that took time lapse photos of the area. I was almost considering camping out over night to apprehend the pirate when a sudden flash of brilliance entered my mind. What would render the tank unmovable ? Cracker dust, Blue metal gravel, cement, erecting a fence around it. My mind started to race then the light came on. What holds many times its weight in water?. What cleans and purifies water?. What do I have abundance of ? You Guessed it. 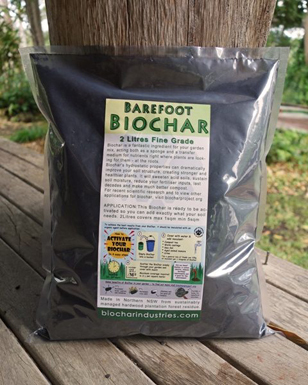 Barefoot biochar from Biochar Industries. I had just discovered a new use for biochar – Biochar as a security device. 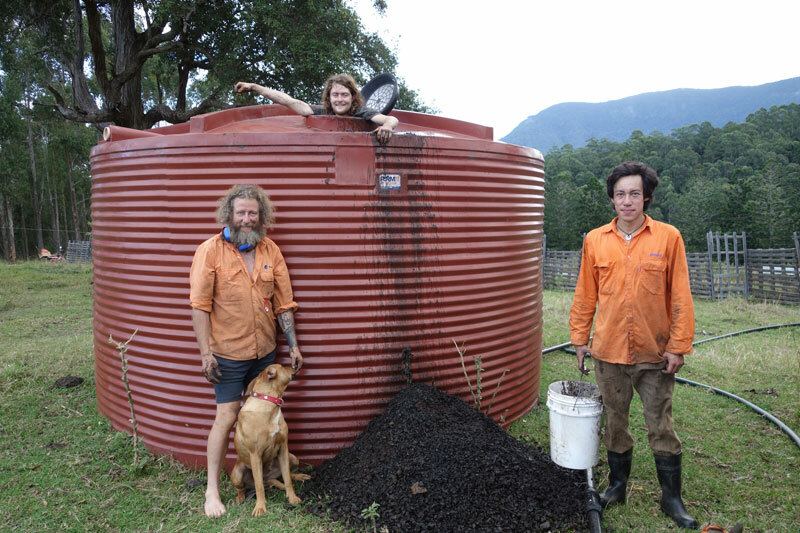 So we put in about 2 cubic meters of biochar and then filled up the water tank. The tank had the biochar in it for about 2 weeks before the pirate tried to move the tank again. He dropped the water and tried to move the tank. This time the tank was not moving. At very least the tank was still holding 2000 litres of water trapped in the pores of the biochar. That’s about 2 metric tonnes of weight. Foiled by the worlds most useful substance. New use for biochar – Biochar as a security device. Just last week our latest team of charmasters embarked on moving the tank to its new location inside the garden on top of the hill of abundance. It took us about 6 hours to remove the waterlogged biochar and we setup a new trial with it to see how good biochar and water only will make our latest crops grow.